I am back with another travel itinerary from last month, where I have visited Rishikesh & Haridwar at the weekend with my friends. We met on weekend evenings and started brainstorming for places which we can cover in a weekend. So we had thought of Amritsar and 2nd place came to our mind is Rishikesh. 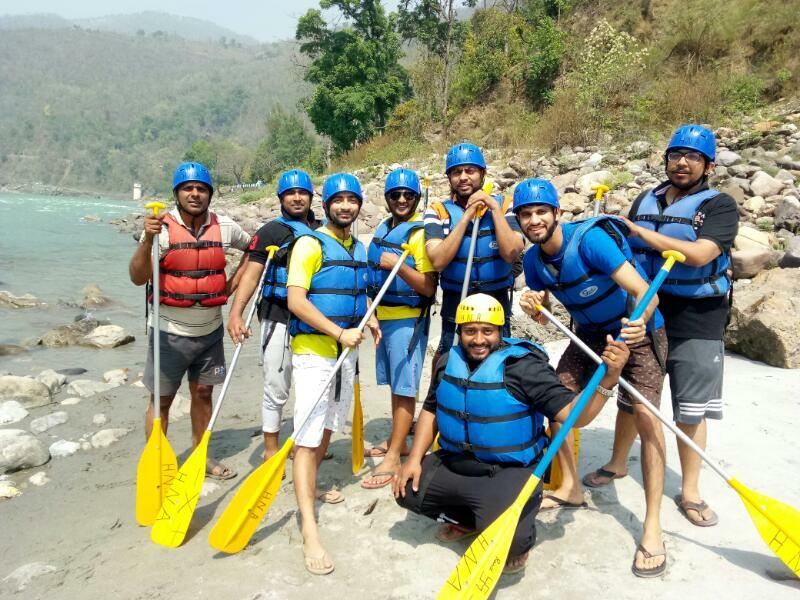 It’s summer time for Delhiites, so we stick with Rishikesh considering all the adventure activities like River Rafting, Cliff jumping, Camping, Trekking and sightseeing. We all are so much thrilled for the Friday evening 8 PM. 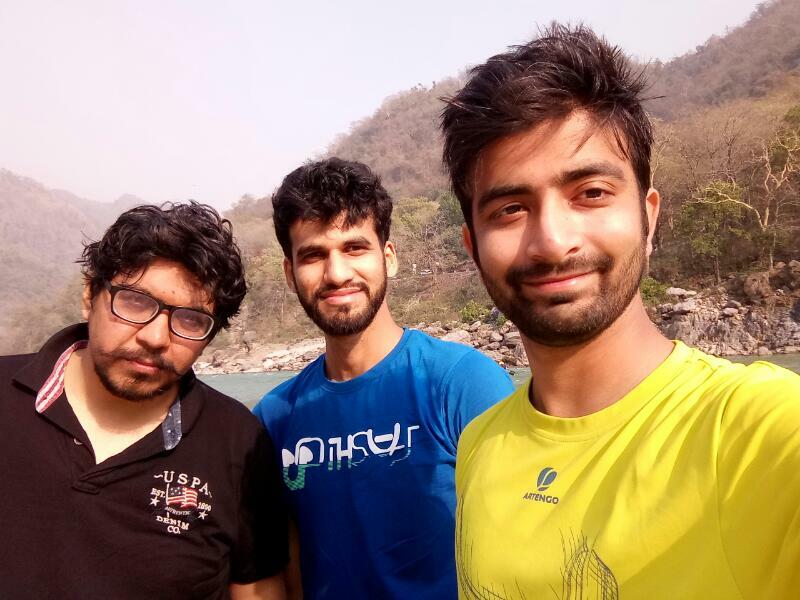 We had booked Volvo Bus via PayTm a day before for 11PM direct from Delhi to Rishikesh. The bus ride was quite easy and convenient. 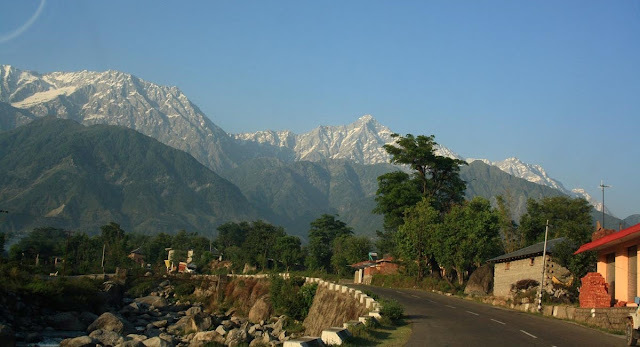 We reached around 8 AM in the morning as there is some Road construction work going on at the Delhi-Haridwar highway (NH - 58). We had our breakfast in a restaurant in Rishikesh and booked our camp and rafting with the Outbound Adventure, there office is near to tapovan. You can book directly visiting their office or via online as well. 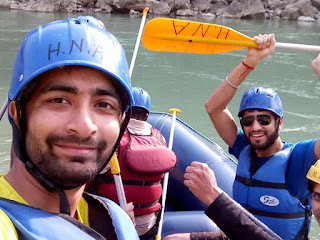 Rafting Starts at 2PM (Marine Drive to Ramjhula) around 25 Kms. 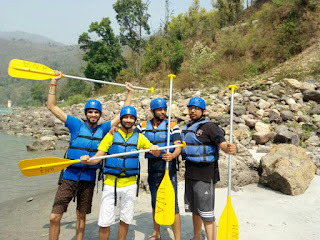 We (Abhinav, Prashant, Yogesh & Me) are thrilled for this adventure ride in the Ganges of Rishikesh. It all started with basic instructions and then our journey begins. 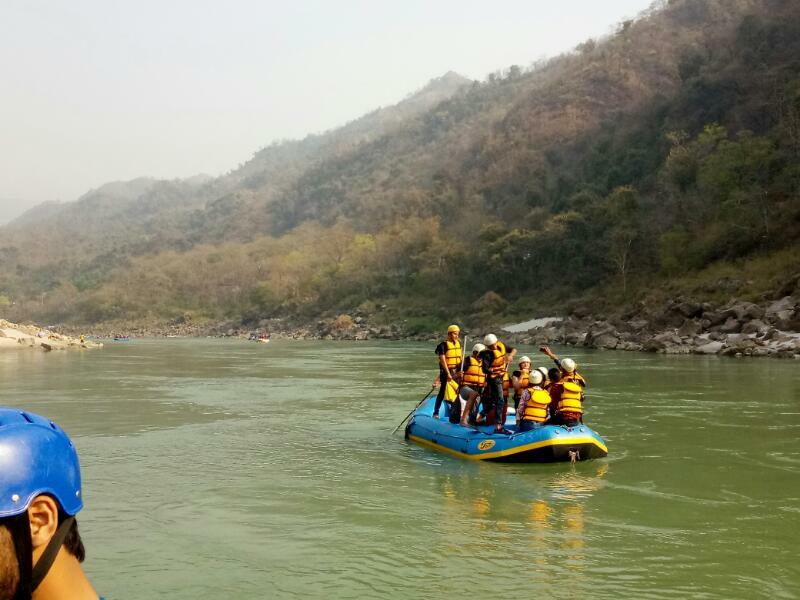 Let’s start with the Rapids, known as the fast-flowing and turbulent sections of the river. Marine Drive to Ramjhula rafting is of intermediate difficulty level. However, the stretch covers around 15 rapids including major and minor ones. 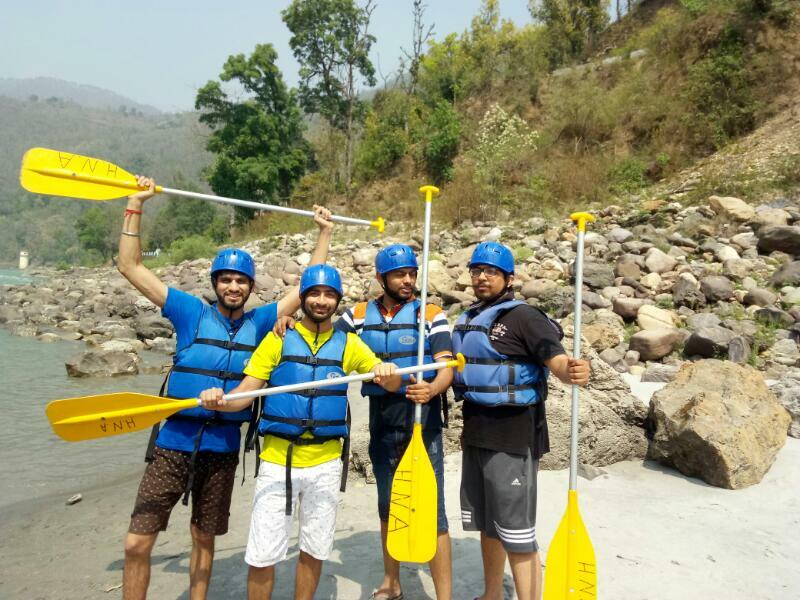 What makes it challenging is that the level 3 rapids come one after the other. 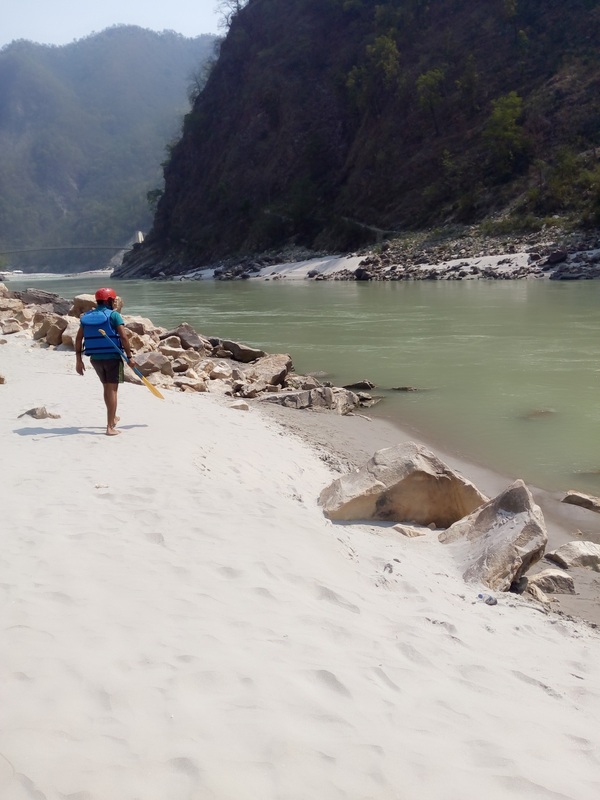 However, once the difficult phase is over, there is a long stretch of less strenuous rafting. This gives the rafters ample time to relax and relish the picturesque backdrop. Complete Length of this stretch would be around 24 km and it will take around 3.5 hours. The Major rapids, which would fall in your journey are Black Money, Cross Fire, and Three Blind Mice. 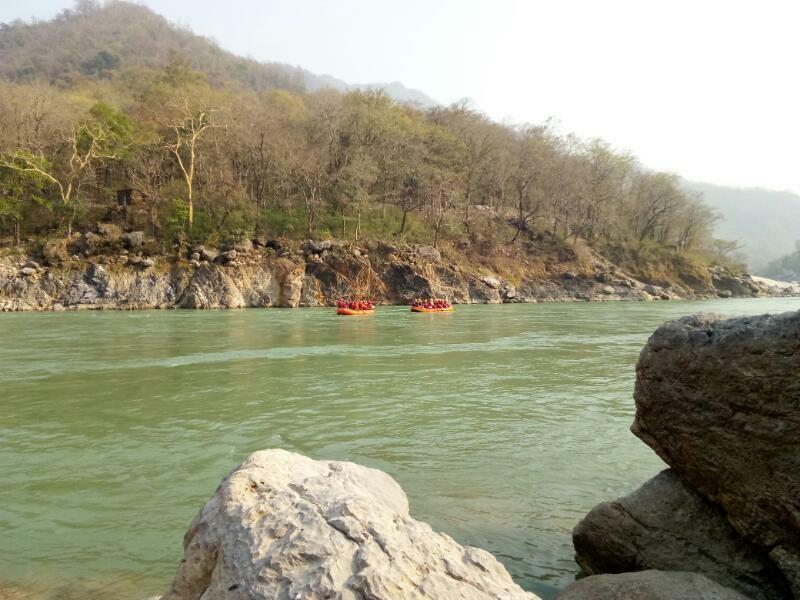 During the rafting journey we have also done Cliff jumping and take a small break at very famous Maggi Point. At around 6PM, reached our camp had snacks and played volleyball with fellow members of our camp. 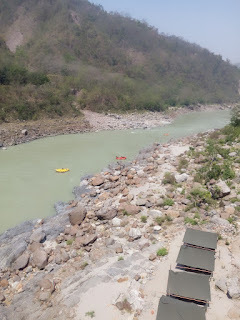 It was a delightful experience in Rishikesh, although I have been here several times. After that enjoyed Bonfire, played punjabi music and little bit dance and finally hectic Day 1 was over. 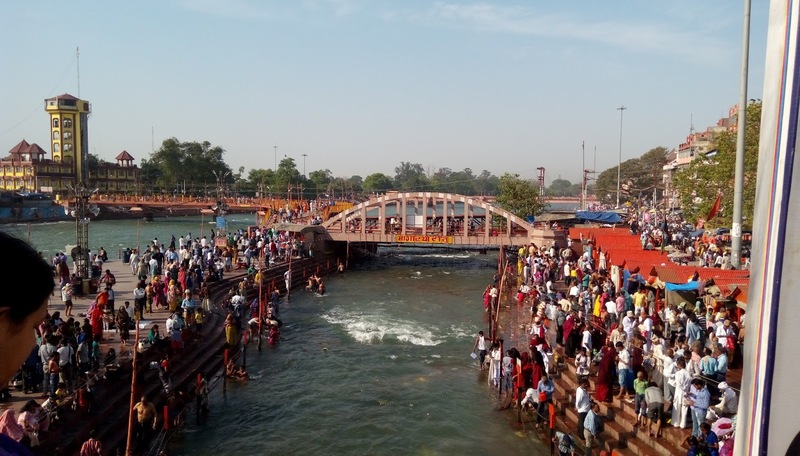 Day Started with Breakfast and then local sightseeing of Ram Jhula & Lakshman Jhula, Triveni Ghat ( The ghat, right next to the Triveni point is considered as one of the holiest places in the Hindu mythology. The meeting point of Ganga, Yamuna and the invisible Saraswati, is known as the 'Triveni' point) and then we were back to Haridwar mere 40 Km distance from Rishikesh. 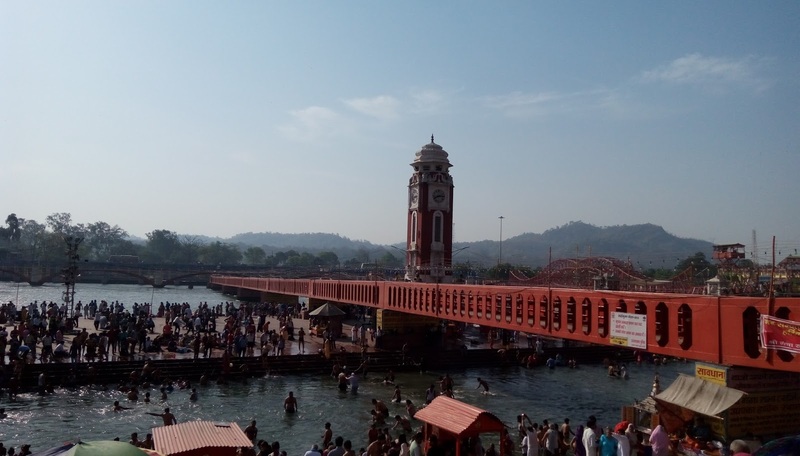 Har ki Pauri is one of my most favorite destinations, here I find inner peace. Har ki Pauri, which means Footsteps of the Lord, is the most sacred ghat in Haridwar. 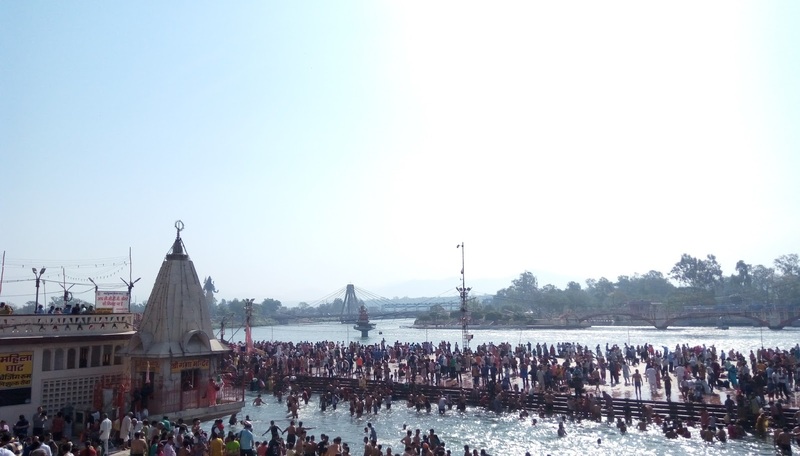 According to Hindu mythology, after the 'Amrit' or the ‘elixir of immortality’ was extracted, some drops of the Amrit fell on the Brahma Kund Ghat of Har ki Pauri. 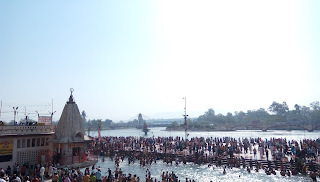 This turned the ghat into an eternal holy place. 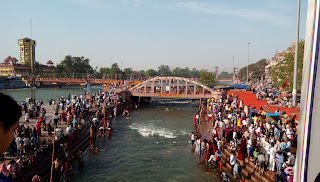 We had our spiritual bath in the holy Ganges and then visited the local Haridwar market in the evening. We had our Bus back to Delhi booked at 11 PM from Haridwar Bus stand. Reached to Faridabad next morning at 7 AM. Happy Travelling. 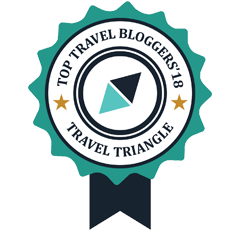 Do share your travel stories in the comments below.